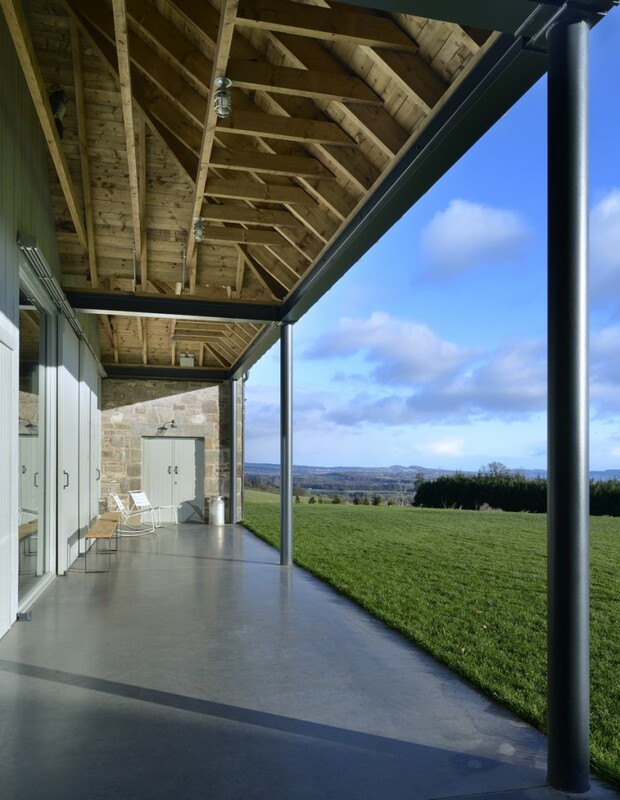 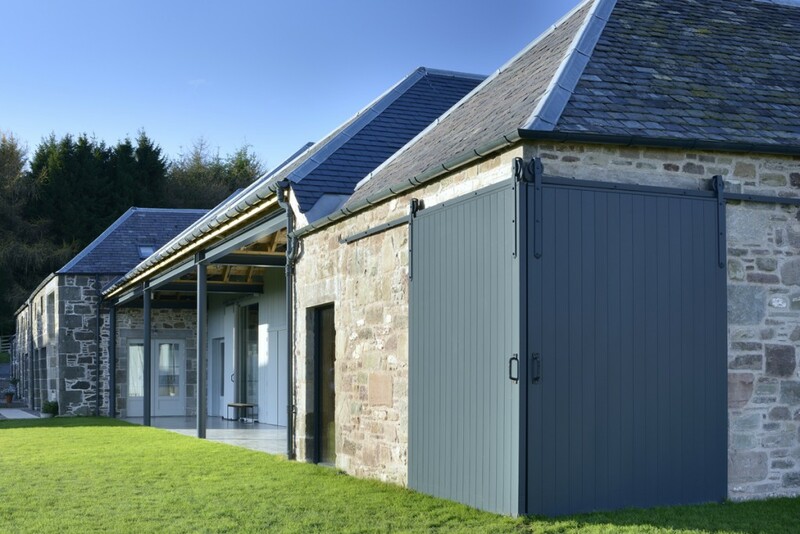 Guardswell Farm has an incredible setting up in the hills in rural Perthshire. 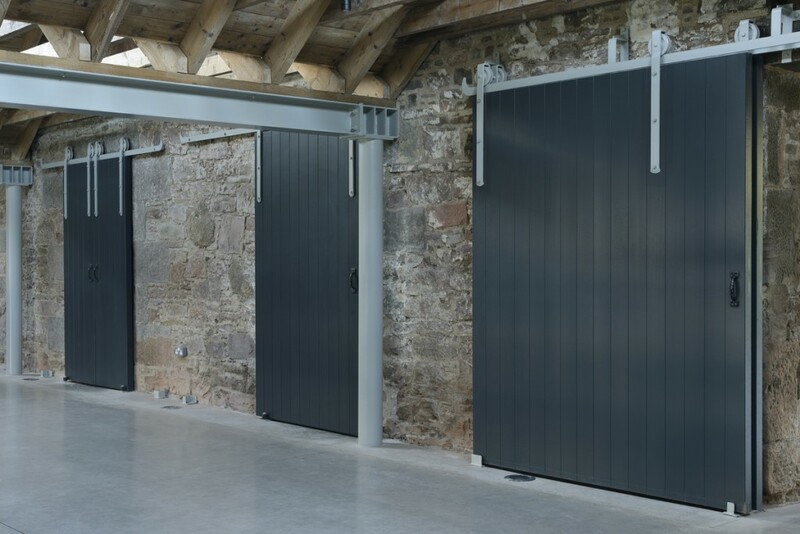 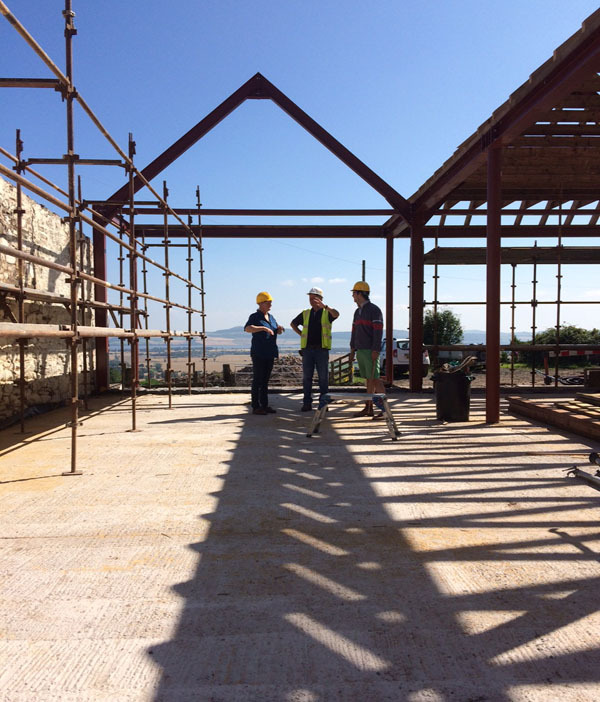 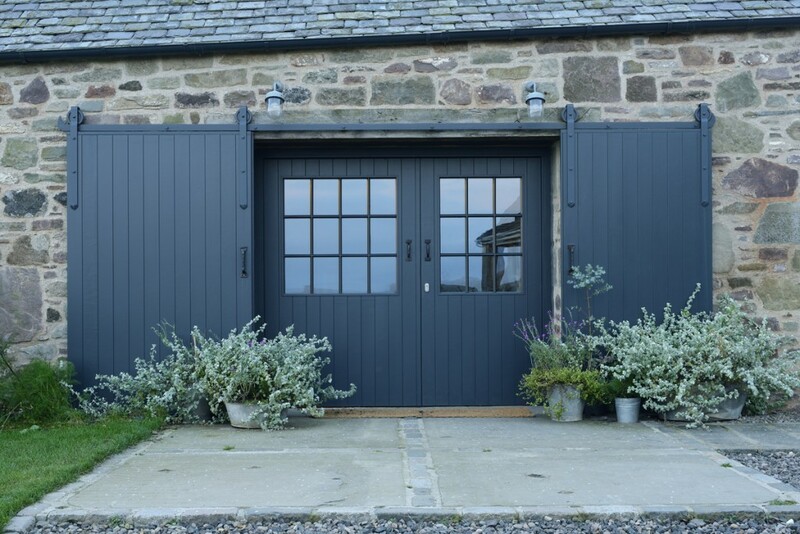 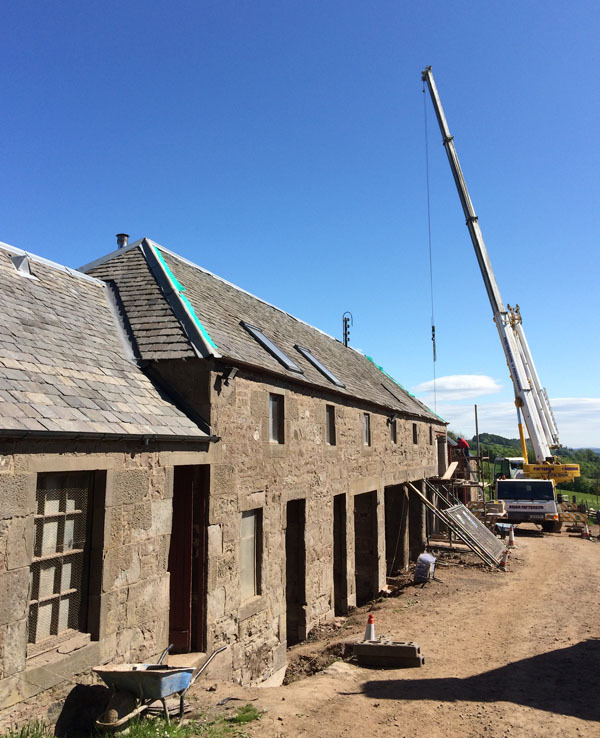 The Lamotte family came to us having visited another Building Workshop steading conversion project. 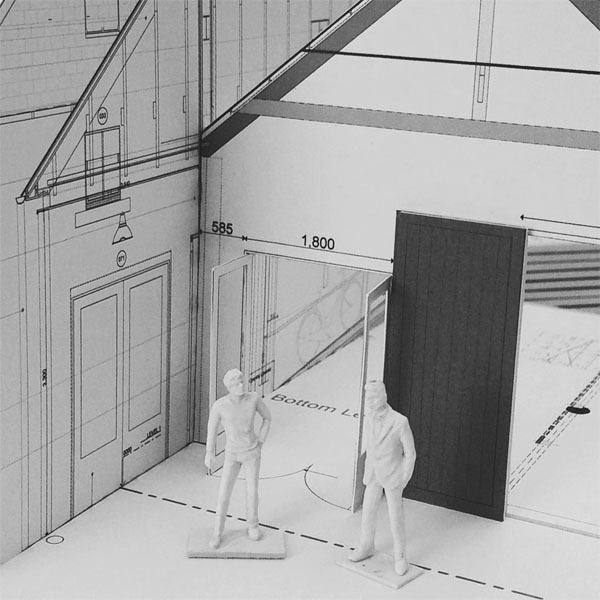 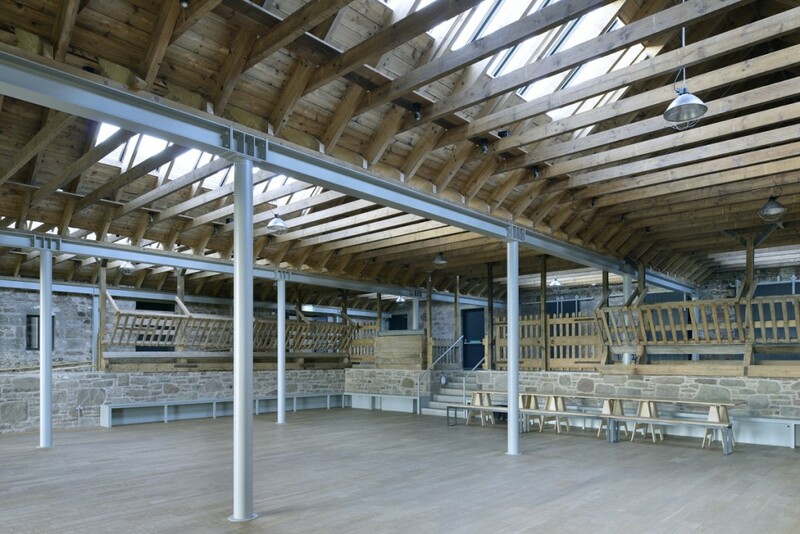 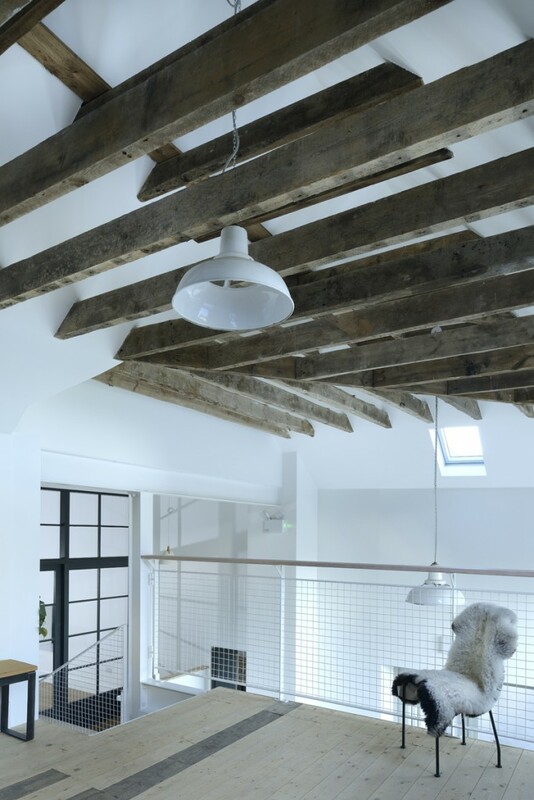 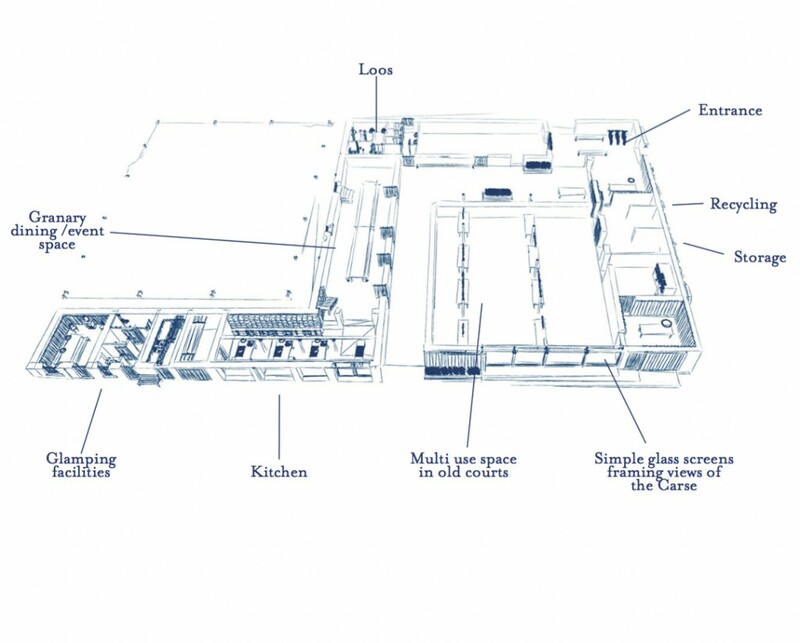 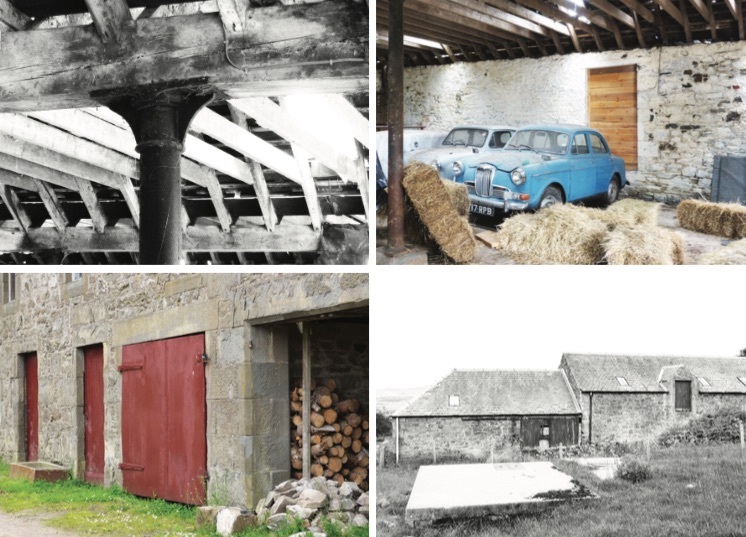 The brief was to retain all that was special about Guardswell but to recycle the buildings ready for a new purpose – we called it “agritecture” – agricultural architecture! 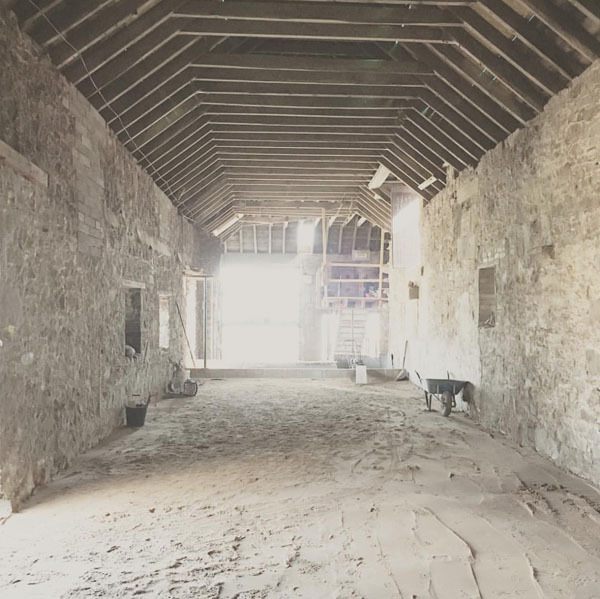 The process to transform the tired old steading (designed for animals and farmers about a hundred years ago) into a super cool rural venue for cookery classes, farm lunches, weddings and all sorts of fun things while complying with current Building Regulations, was a big creative and logistical challenge….one that we really enjoyed. 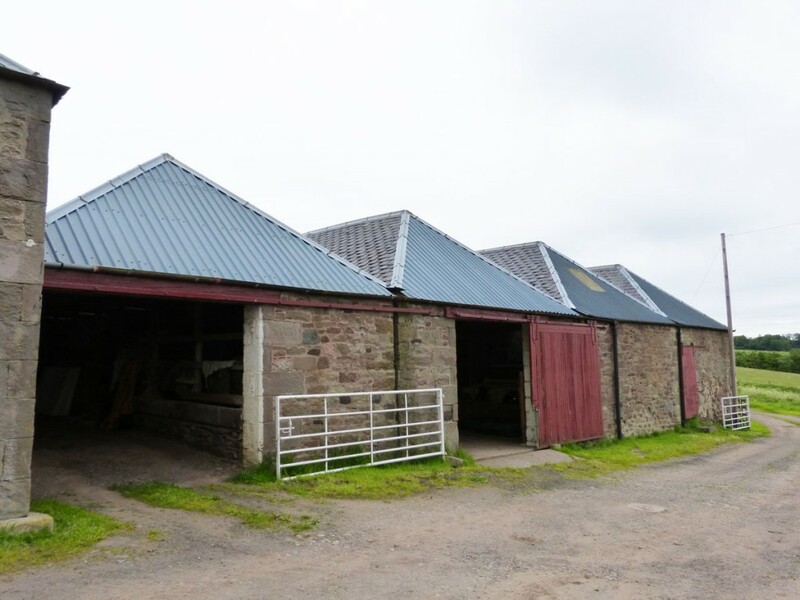 The steading is simple and beautiful. 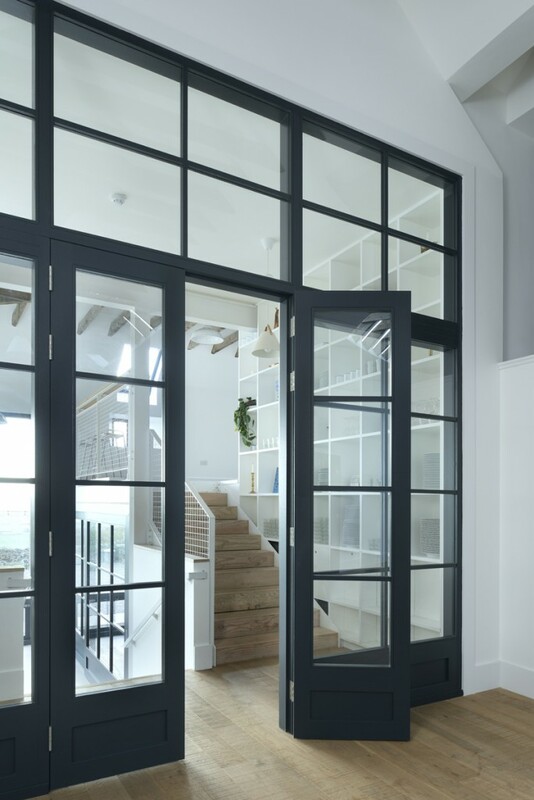 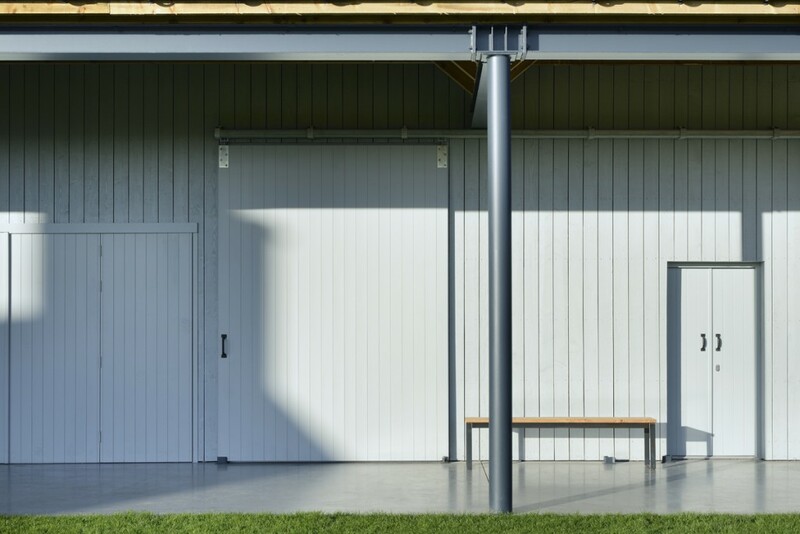 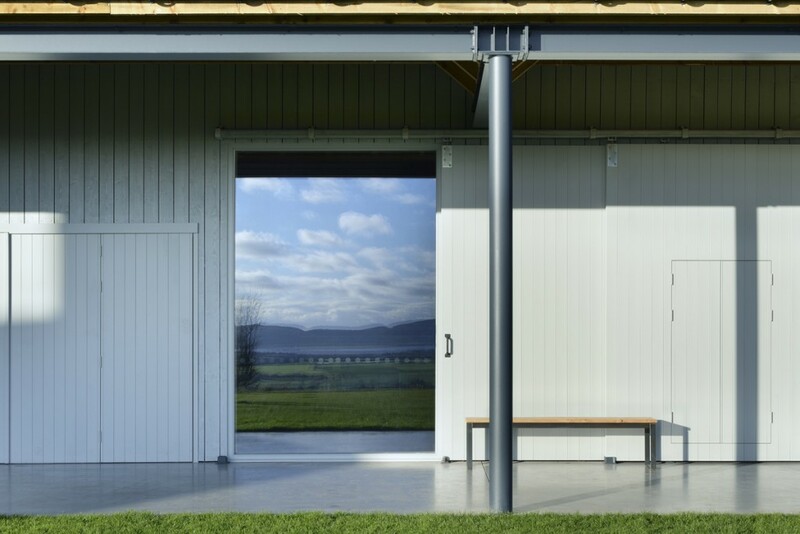 Traditional agricultural materials have been used with a contemporary design to create a clean and modern aesthetic. 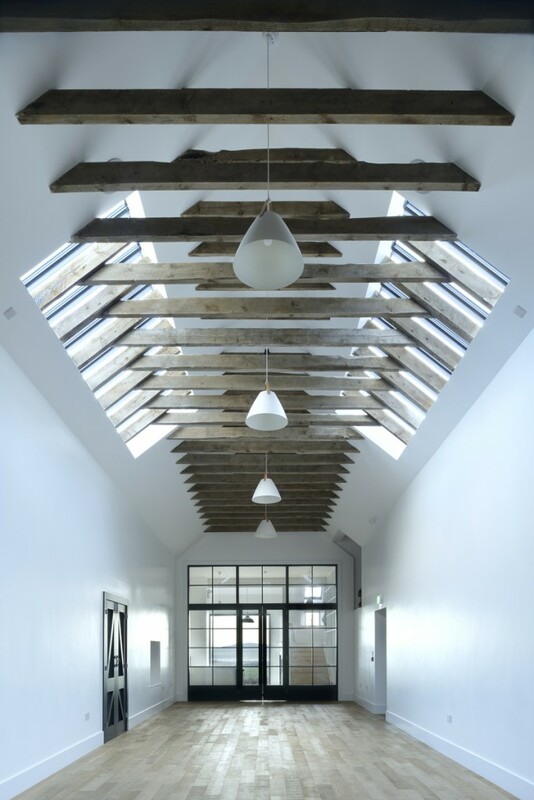 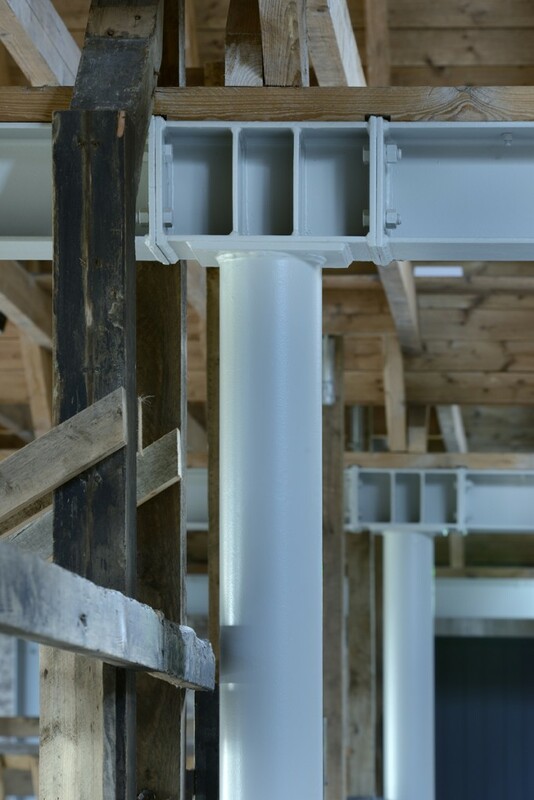 Stone, wood and painted steel are celebrated throughout the building. 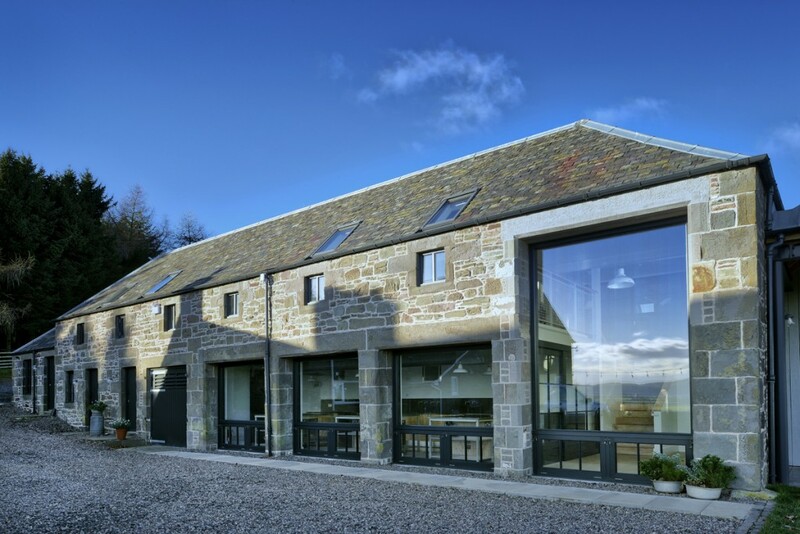 There is a strong inside-outside connection with wonderful views of the Carse and lots of sliding doors and windows to allow people to come in and out. 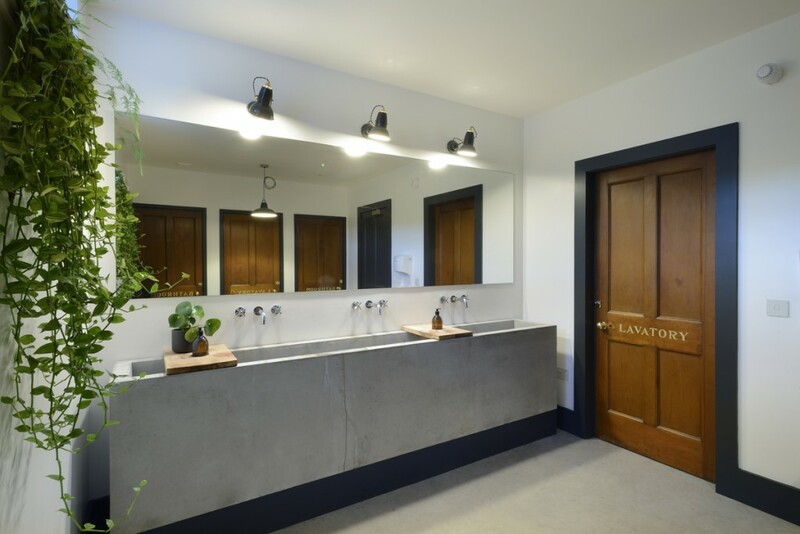 Guardswell opened in 2017. 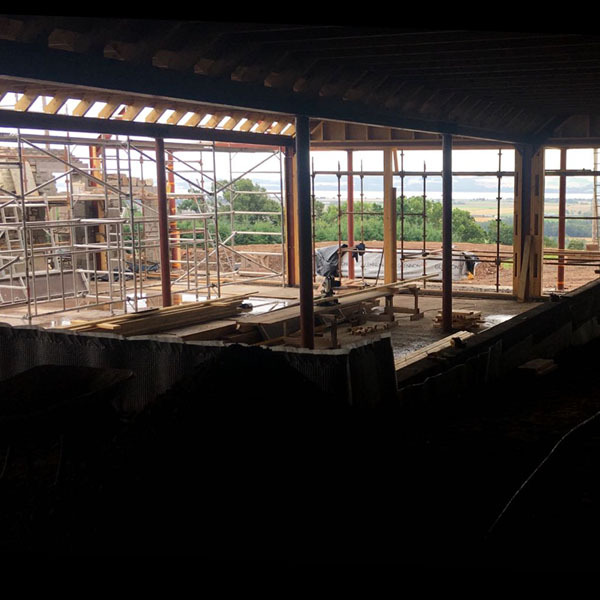 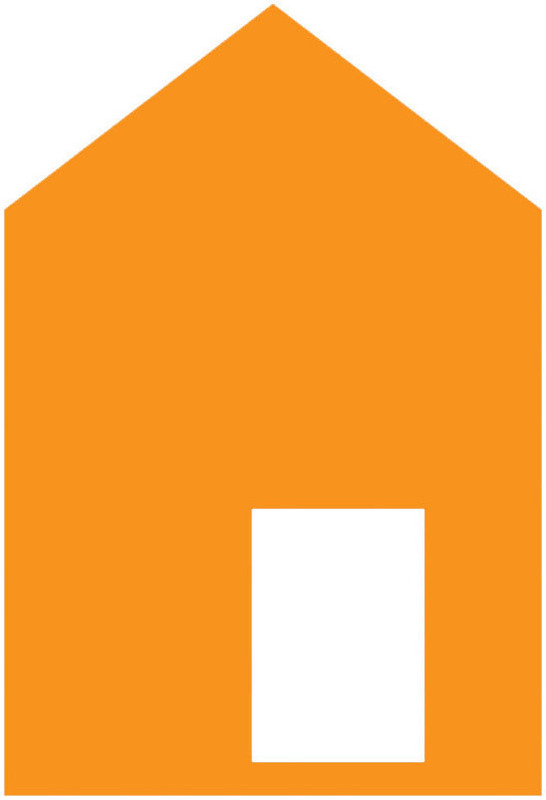 Have a look on their website to see what is coming up – from long table lunches and food grown on the farm and cooked in the cart shed kitchen, to children’s activities like building bird box, there is lots of fun to be had at Guardswell.